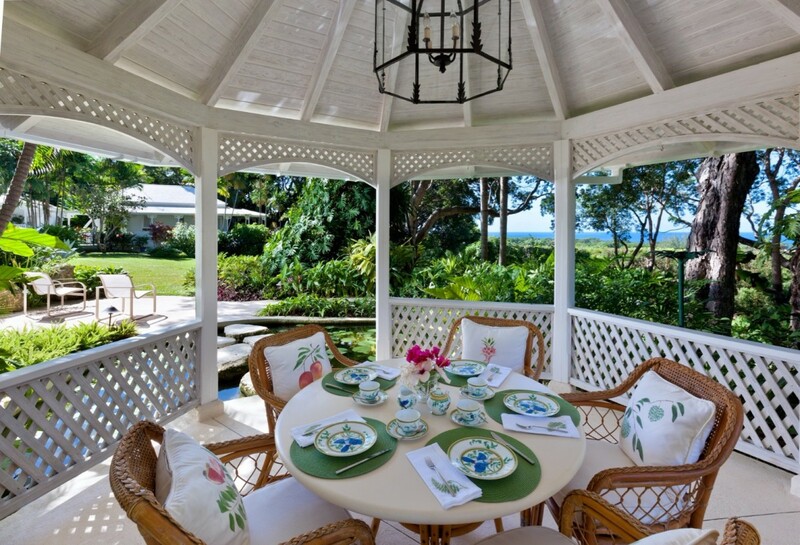 Set overlooking the third fairway of the Sandy Lane Golf Course at the Sandy Lane Estates in Barbados, Villa Klairan is much more than a golf lover’s Caribbean retreat. 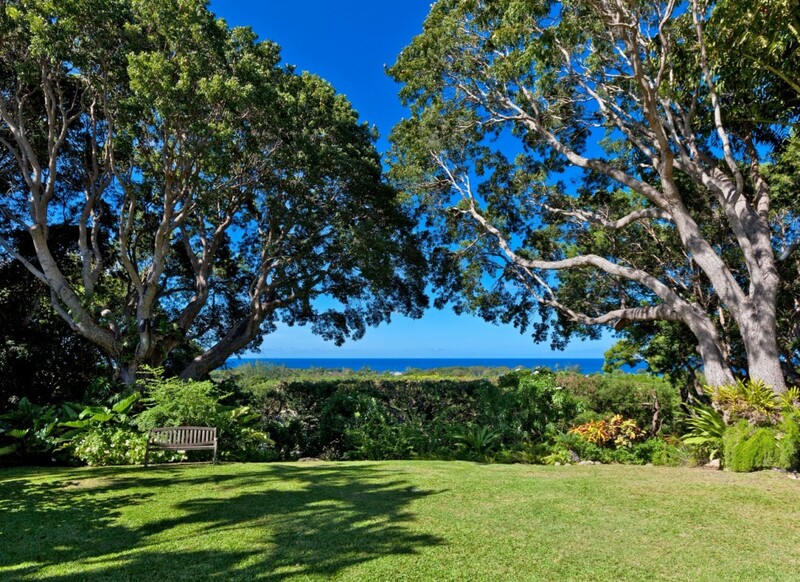 It is a truly luxurious property with ample amenities, a huge amount of living space, and even a staff that includes a chef and butler. 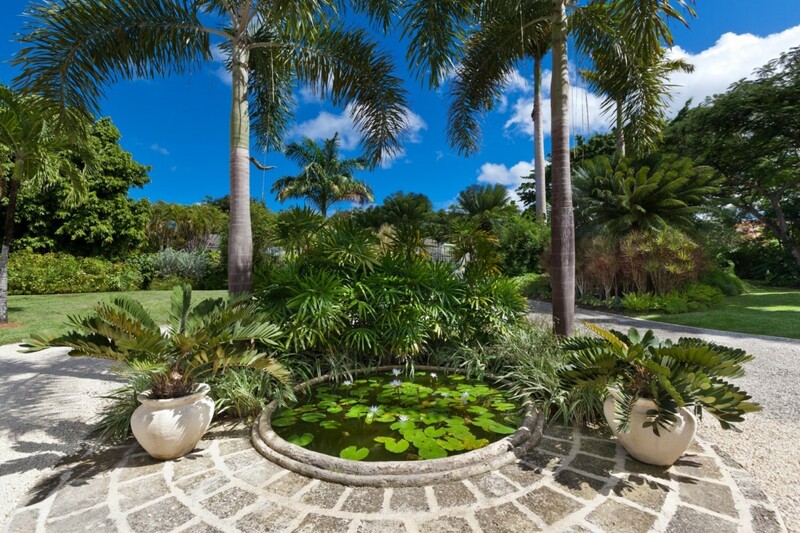 With over an acre of private, landscaped grounds, the villa has the feel of a private estate. 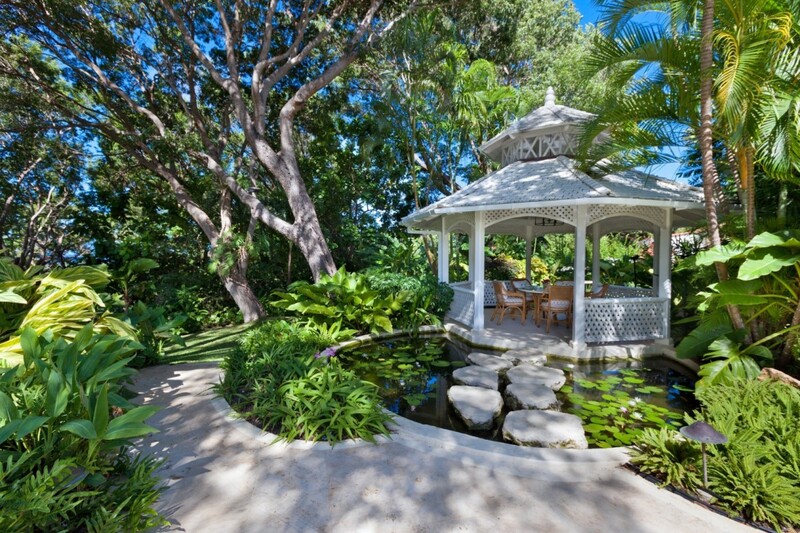 There is even a private gazebo for relaxing cocktails or invigorating cups of morning coffee! 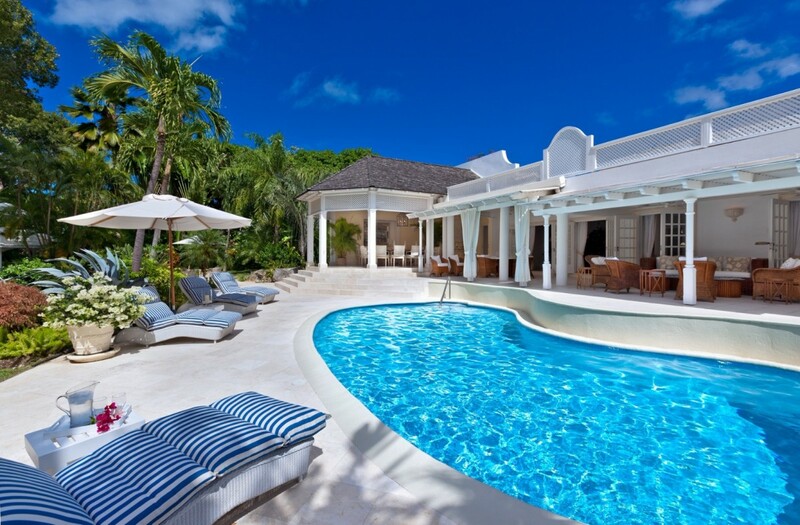 Guests appreciate the private pool terrace that serves as the heart of the villa. Surrounded by elegant lounge chairs and many shady as well as sunny spots, the pool area is surrounded by the covered terrace. With a full living room, al fresco dining area and smaller lounge all set outdoors, you will find yourself returning to this area again and again. 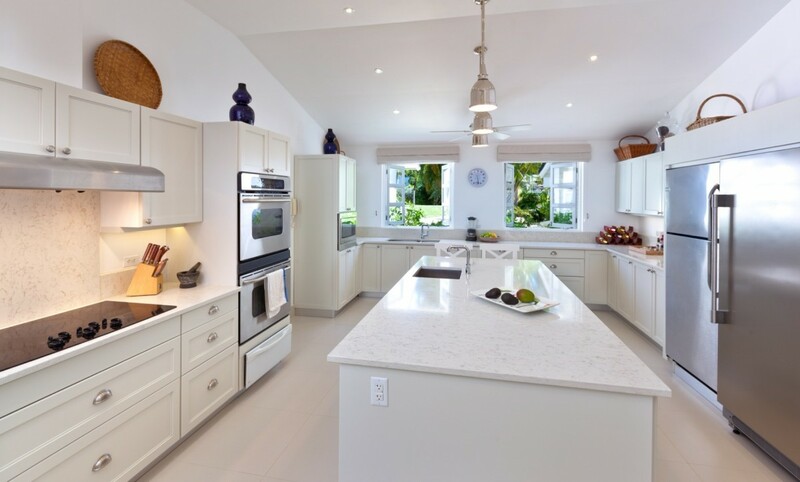 Step inside, and you find the full gourmet kitchen, formal dining room, and more formal living room. 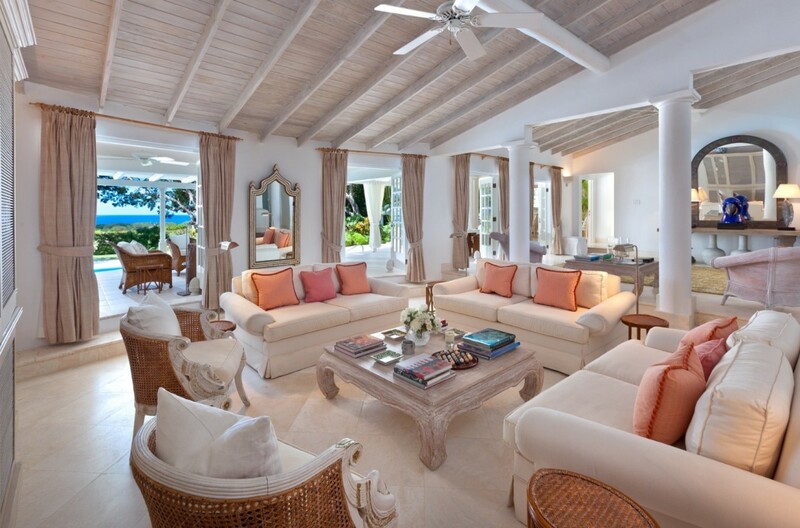 With high ceilings, enormous French doors, and a pale palette, the indoor spaces manage to capture the light and breezes of the garden, allowing you to experience the tropical setting no matter where you are in the villa. 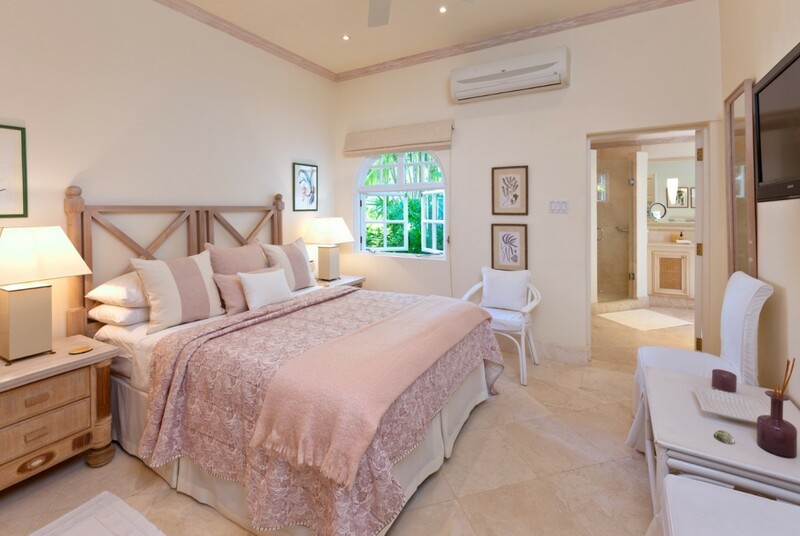 There are four bedrooms in the villa, each with a private and luxurious en suite bath. 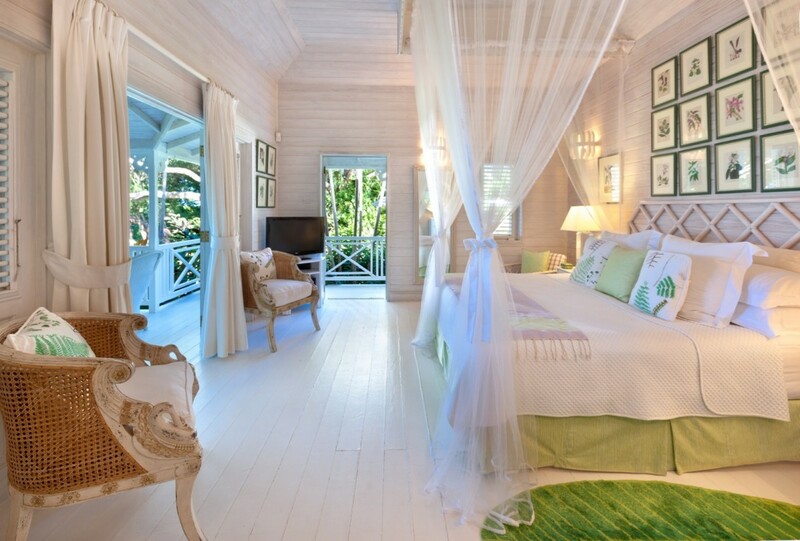 One of the bedrooms is in the main portion of the villa, and the remaining three are in the cottage attached to it. These overlook the pool, and feature premium linens and air conditioning. 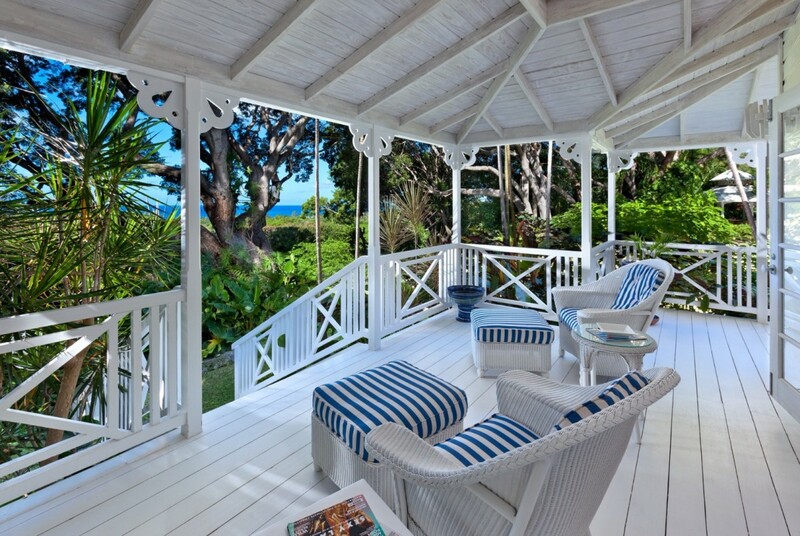 Visitors to the Villa Klairan are also given free access to all of the Sandy Land facilities, including a private beach cabana, use of the tennis courts and access to the Sandy Lane Beach. 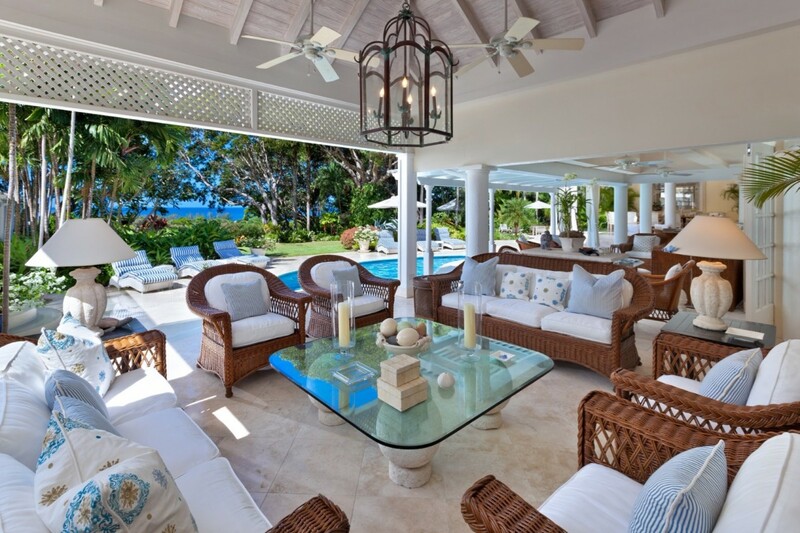 With a full staff able to handle all of the day-to-day issues, you can arrive in style, relax in total comfort, and rejuvenate by your pool, by the sea, on the courts, or in the many gorgeous spaces of this premium villa. Bedroom 1: Bedroom with a queen-size bed, AC, TV and en suite with shower, double vanity and WC. 2 guests maximum. 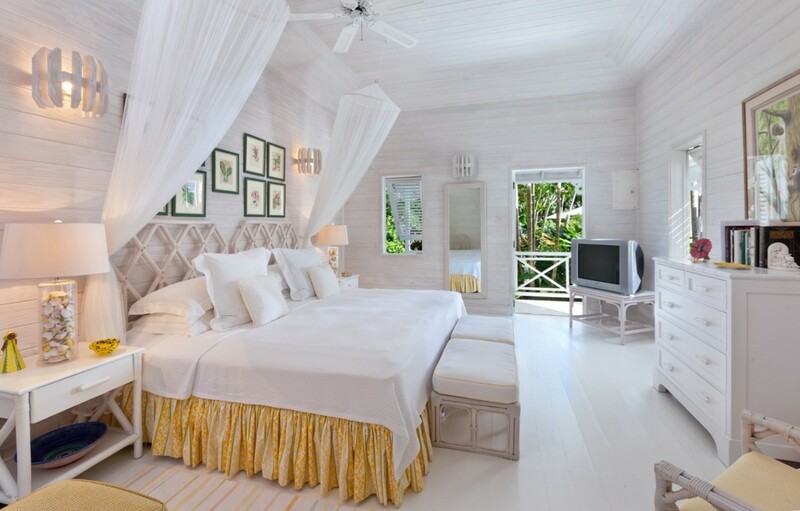 Bedrooms 2 & 3: Bedrooms with a full-size bed, AC, TV, access to pool terrace and en suite with shower, double vanity and WC. 2 guests maximum. Bedroom 4: Bedroom with 2 single beds, AC, TV, access to terrace and en suite with shower, double vanity and WC. 2 guests maximum.